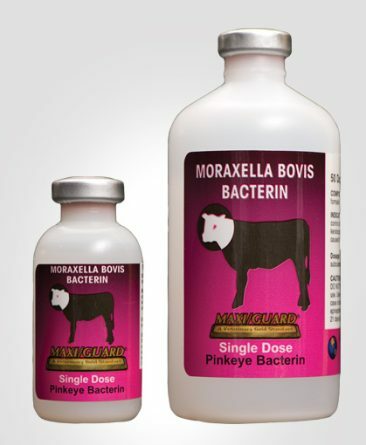 World’s First Commercially Available Moraxella bovoculi Pinkeye Preventative! M. bovoculi is a coccoid (spherical shaped) bacterium that causes pinkeye (IBK) in cattle. It was misidentified (and occasionally still is) as Moraxella ovis or Branhamella ovis until it was properly named in 2007. Addison Biological Laboratory has isolated this organism for a long time and the incidence has increased dramatically over the last few years. Due to its ability to cause pinkeye year-round, M. bovoculi has been nicknamed “Winter Pinkeye”. It is also less sensitive to traditional treatment options for pinkeye, which makes preventing the disease even more important. How does Moraxella bovoculi differ from Moraxella bovis? M. bovis is a rod-shaped bacterium that historically has been the most common cause of pinkeye in cattle. It is frequently found to cause pinkeye in the spring and summer months. 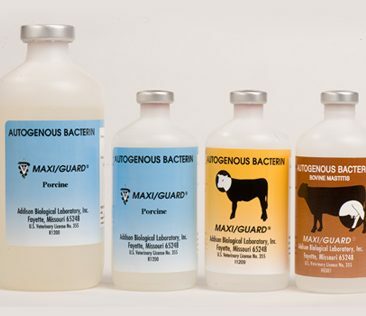 If cattle are challenged with the M. bovis organism only, the disease can usually be prevented with a high quality commercial M. bovis vaccine such as MAXI/GUARD Pinkeye Bacterin. What is unique about this new Moraxella bovoculi Bacterin? This is the very first and only commercially available bacterin for the prevention of Moraxella bovoculi. 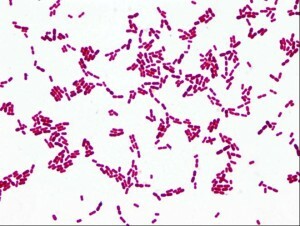 It contains 8 different M. bovoculi isolates. Previously the only way to biologically prevent M. bovoculi outbreaks was through a diagnostic and autogenous program. 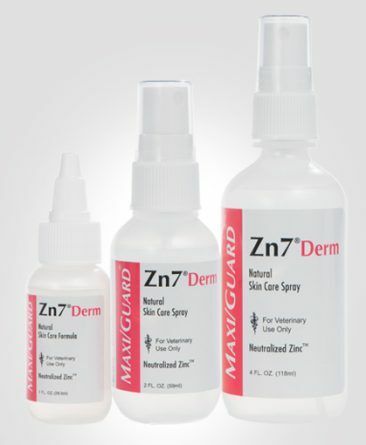 The release of this vaccine enables veterinarians and producers to simply purchase a product without the delay and hassle of taking cultures and having a qualified lab create a custom herd bacterin. Should I use this new vaccine with a commercially available Moraxella bovis vaccine? Yes. Through our many years of experience dealing with bovine pinkeye, we have found that M. bovis occurs at a higher rate than M. bovoculi and very frequently they are both found in the same herd. Therefore, it is important to vaccinate with a high-quality M. bovis vaccine (such as MAXI/GUARD Pinkeye) and our new M. bovoculi vaccine for complete protection. Due to the prevalence of M. bovis in US cattle herds we also recommend a commercial M. bovis bacterin with clients using an M. bovoculi autogenous program. What if I am currently having success preventing Moraxella bovoculi outbreaks with an autogenous program? 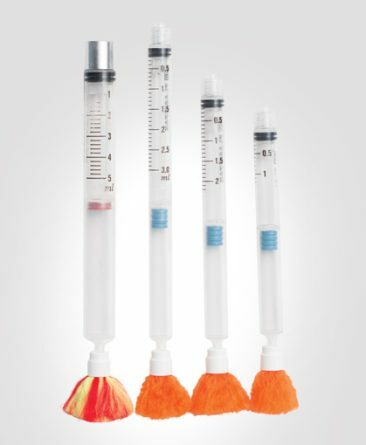 If cost and turnaround time are not an issue and if you can easily obtain fresh cultures every year, we encourage you to stay with what is effectively preventing the disease. Each situation should be evaluated on a case by case basis to determine what is the best option for the producer and their herd. What are the advantages of using this product over an autogenous program? 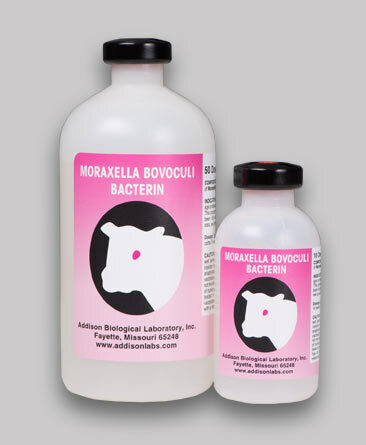 In brief, the Addison Moraxella bovoculi bacterin costs less, is more convenient and is more practical for most herds than an autogenous bacterin program. 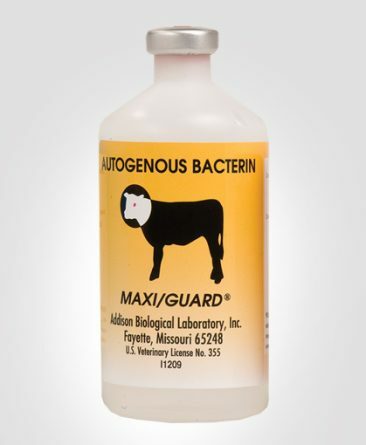 This product provides you with a less expensive, broad spectrum (8 isolates) M. bovoculi preventative without having to submit cultures and wait for the product to be made (no need to wait for an outbreak to occur to prevent future outbreaks). 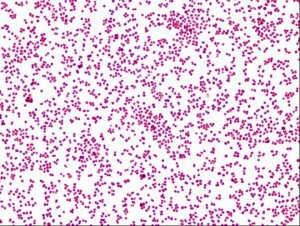 This product will now provide a solution for the large number of operations where herd size is simply too small for autogenous bacterins to be practical. What are the label instructions for using this product? Shake well. Administer a 2ml dose subcutaneously to cattle 14 weeks of age or older. Repeat vaccination in 21 days. What backup service can I expect from Addison Biological Laboratory? Our company has over 30 years of intense experience in dealing with bovine pinkeye and we are consistently referred to as the leaders in pinkeye prevention. In the rare instance that a pinkeye break occurs after proper vaccination of our products, please call us at 800-331- 2530. 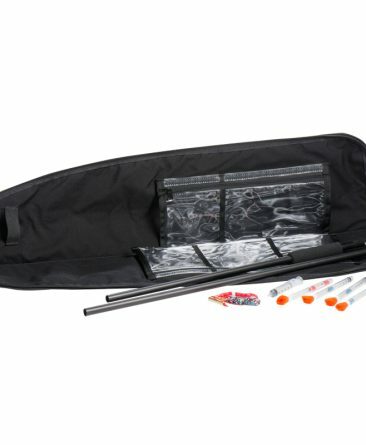 We will ask a series of questions to assess the situation and we may send a pinkeye outbreak kit to assist you in obtaining the best possible sample. After the kit is returned our skilled diagnosticians will soon be able to determine the true cause of the break. All diagnostic work in these cases will be performed at no charge. We will then take a team approach to determine if an autogenous bacterin or other treatment options would be the best regimen.